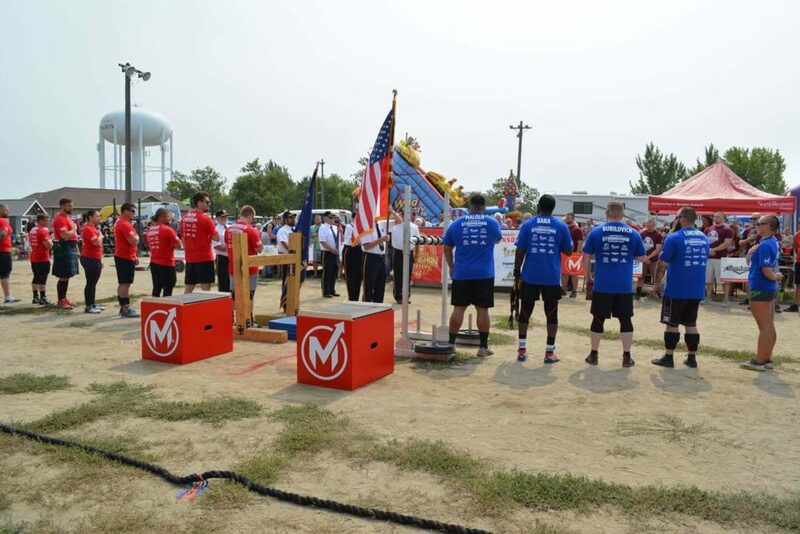 Over the weekend up in the quiet city of Aberdeen, South Dakota, the Massenomics team were making noise hosting their third annual Massenomics Strongman Showdown. At the 2018 Arnold Classic, I had the chance to meet up with Tommy Defea, Tyler Stone, and Tanner Baird, three guys from the Massenomics team, and right away I knew they were in the industry for the right reason — these guys all genuinely love strength sports. That’s a pretty phenomenal turn out for a small town niche strength competition that’s only in its third year of life. Currently, Massenomics host a podcast and have their own gym, which is what helped foster and develop the idea of having their own epic strength showdown. 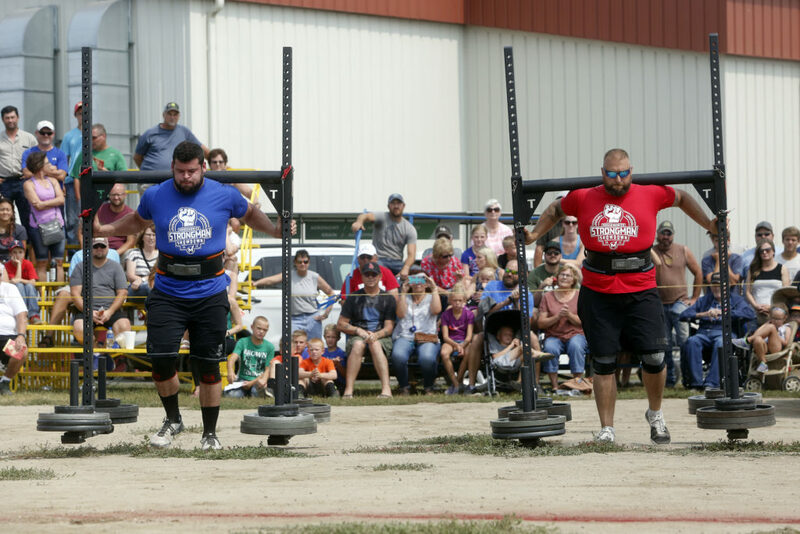 What’s most interesting is that their showdown isn’t like your typical powerlifting or strongman competition, in fact, it’s almost the opposite. Baird told us that they wanted to make it different from what’s out there now. How could they draw in a crowd’s attention without losing them with a day long endeavor? Baird said, The goal was to make it a spectacle for the audience. 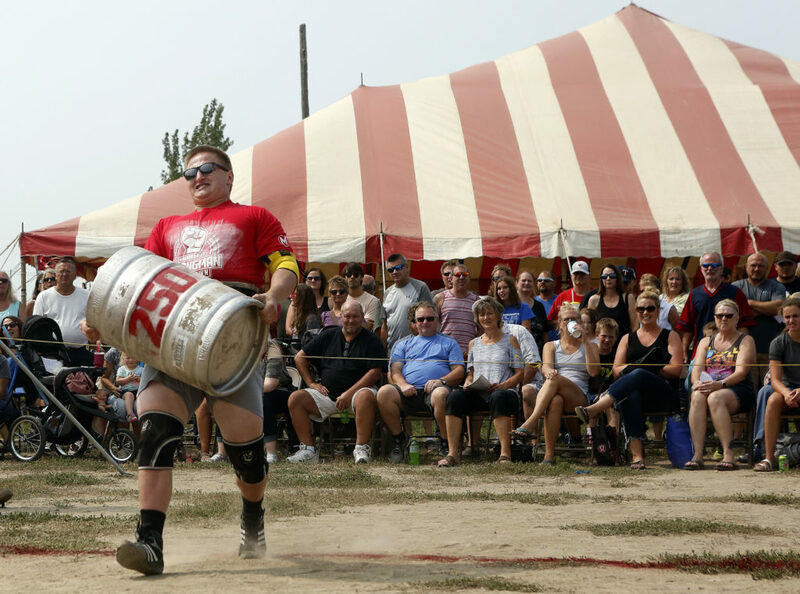 We like to think of our event as a cross between a typical weekend strongman competition, and the WWE. Most other strength events are day-long endeavors. 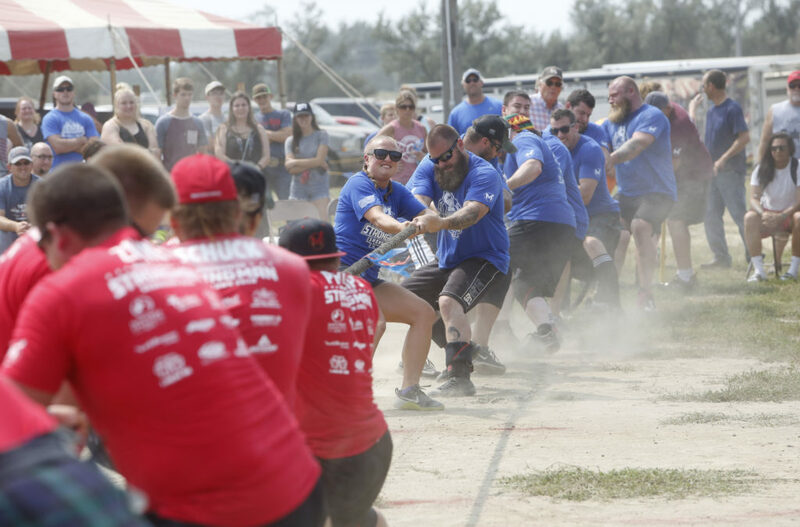 This year, the Massenomics guys changed up the entire format of the event, which featured two teams of ten athletes (Red vs. Blue), then had competitors from each team go head-to-head. Each head-to-head face off was based off of a predetermined schedule that followed the ten event showdown. Baird told us that they keep the roster to an invitation only event and like to keep it small to ensure the event takes the time allotment they had in mind. To add to the complexity of their planning process, this year’s event required the Massenomics guys to borrow and buy more equipment than last year to build out the ten event showdown, and that’s in addition to stocking their 2018 Massenomics Strongman Showdown gear. You can’t have too much help. It takes a lot of man power to run this. Don’t turn anyone down that offers a hand. Show appreciation and thank everyone. Think from the viewpoint of an average spectator. Most of the people that come to watch us are not die hard strongman enthusiasts. What looks cool to them? What are they impressed by? It’s great to have strong competitors, but for a show like this it’s equally important that they are good people, and fun to be around. Everyone feeds off the positive energy. It also makes for a fun after party. There’s no denying the fact that the Massenomics team has now ran three successful Strongman Showdowns, but that’s not to say that these years happened with the complete avoidance of adversity. In fact, the takeaways above are pretty inline with the pitfalls the Massenomics team have encountered over the last three years. Although, what helps the crowd’s energy is that the Massenomics team picked a great lineup of events and divided the teams pretty fairly. Outside of the crowd, Baird told us that you couldn’t have written a better script for the event’s neck-and-neck competitiveness. A large crowd could be considered a luxury problem to have, and on the flipside of that topic, bringing in a crowd can be very difficult for someone just starting out trying to build their own contest. 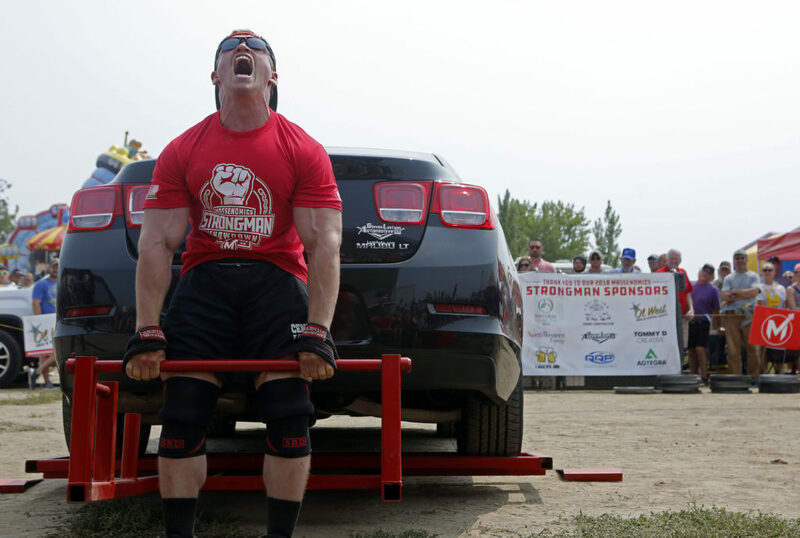 Since a crowd can often equal success for event like this, how exactly should one go about starting their own strength sports [strongman] event? Baird shared some tips with us and said, “You could start smaller, and it would be easier to get going in comparison to the production we put on. All you really need is 5-10 strongmen and/or strongwomen that are passionate about it, and a few that are willing to take on the responsibility of running the show. So what’s their next move for future showdowns? Hopefully, moving more mainstream and upping the video quality of the event. It’s going to be interesting to see how next year compares to this year’s successes, and if the Massenomics team can up their game once more. Will we see a 2019 Massenomics Strongman Showdown live stream? If you’ve taken one thing away from this article, hopefully it’s that hosting a strength event is possible for everyone with the right planning, support, and effort. Feature image provided by Massenomics.